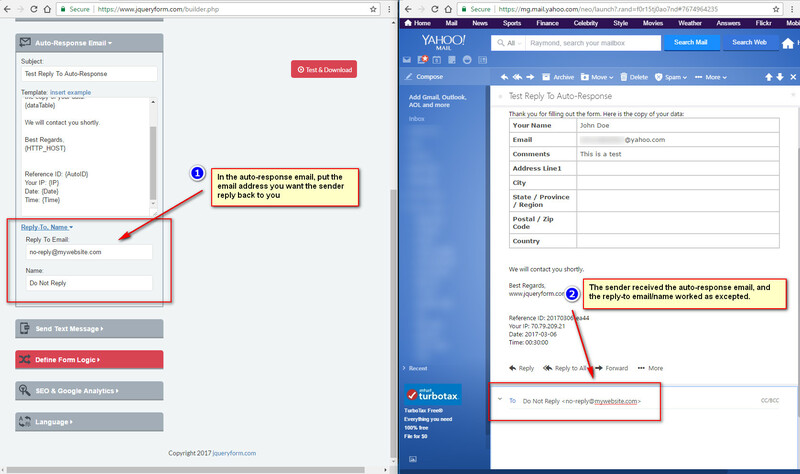 How to setup Reply-To email for web form and for the auto-response email? JQuery Form will use the email sender's email address as the Reply-To email address. When you creates a form, you need to tell which email field is the value of the sender's email address. In the auto-response email, if you want the sender reply back to you a DIFFERENT email address, you can define Reply-To / Name in the auto-response email setting section.